Puppies are known for their zest for life, eternal optimism and, of course, their cuteness. Their attitude is infectious; all they want is to love and be loved in return. 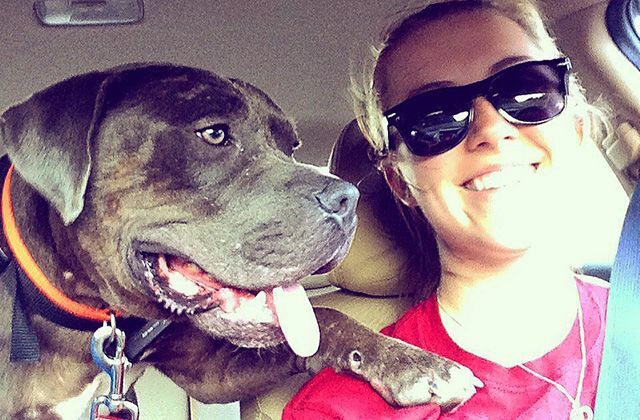 But for Jacob the pit bull, that wasn't his puppyhood. 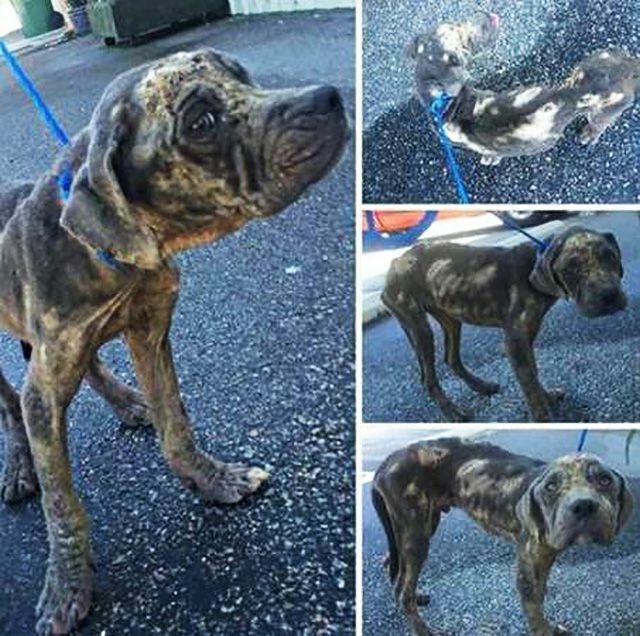 When Jacob was just four months old, he was found abandoned in a parking lot in New York City, hungry and covered with mange. To make matters worse, Jacob had been doused in gasoline. It's likely his pervious owners had tried to use the gasoline to remove the dog's mange, but gasoline is deadly when applied to open wounds and it poisoned Jacob’s blood. His future did not look good. Luckily, Jacob survived. 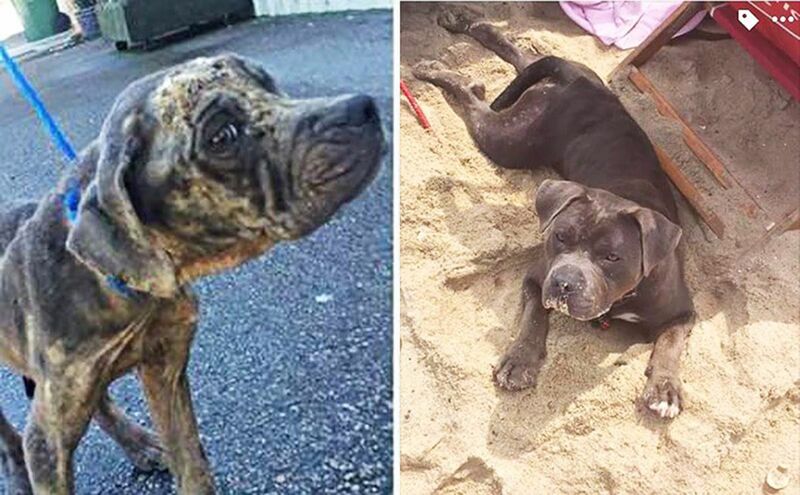 He spent weeks at the vet and was then transferred to Second Chance Rescue NYC, where he finally started to let himself act like a normal dog again. 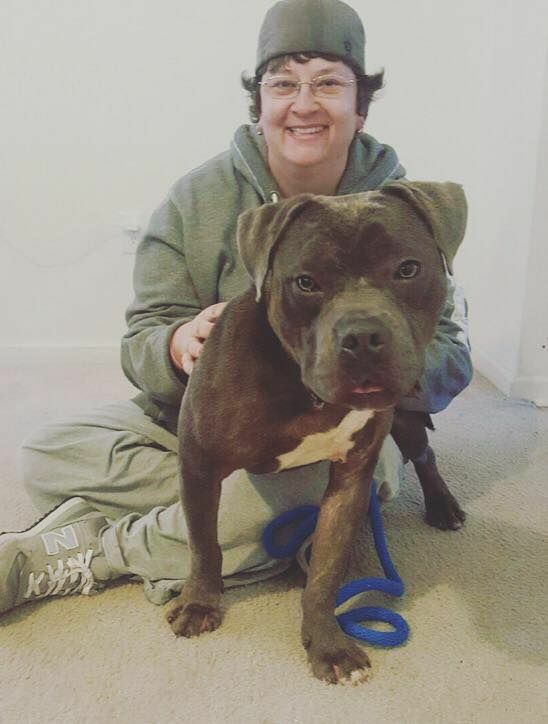 Second Chance Rescue NYC sent Jacob to Forever Home Rescue and Rehabilitation Center in Virginia Beach, Virginia, where Toni Enright and her wife, Lydia, realized just how remarkable Jacob really is. Enright credits Jacobs’s tenacious spirit and will to live as the reason he is still standing here today. Although his physical wounds healed, his emotional scars were still there. Jacob was denied a healthy and loving childhood and, because of that, didn’t quite know how to act around humans. Jacob would gently nip at his leash or become overly excited when around humans. Over time, though, he learned the tricks of the trade. Jacob was even adopted once but was ultimately returned because of his chewing. After that, he became reserved and quiet. But Jacob didn’t have to wait for too long for a new family thanks to a young couple, Hailey and Conner, who fell in love with Jacob's his infectious joy and endless enthusiasm. Before their application at Forever Home was even approved, Hailey and Conner ran to the pet store and bought everything Jacob would need. After their application was officially approved, they were free to take him home. Their lives were never the same. Today, Jacob is a happy dog and full of life. He loves his toys, gives hugs and kisses and likes to dig holes at the beach. Jacob endured an abusive puppyhood, but Hailey and Conner are doing everything they can to make it up to him. There are many other dogs like Jacob hoping for a forever home. If you are looking to find a new family member, consider adopting a dog at your local shelter. Also, to help other dogs who have suffered like Jacob, consider making a donation to Second Chance Rescue NYC or Forever Home.